The cars, on the other hand, those may be a different story. 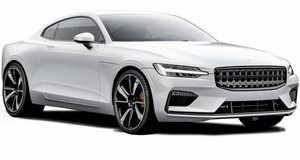 Having been spun off into its own brand, Polestar is set to sell high-performance vehicles like the upcoming Polestar 1, a two-door hybrid producing a whopping 600 horsepower and 737 lb-ft of torque. However, unlike a traditional car, you won't just be able to walk into a dealership and buy a Polestar 1. Instead, the car will be sold with a monthly subscription out of what will be called a Polestar Space. Polestar says the spaces will be highly stylized areas where shoppers can come to learn more about the product. The Swedish brand plans to open 60 spaces by 2020. Speaking to Automotive News prior to the reveal of the Polestar 2 EV, the company's North American chief, Gregor Hembrough, said the Polestar Spaces will not carry inventory or perform service, keeping a "very low entry ticket" for existing Volvo dealerships. "We are not asking for retailers to build a $4 million to $5 million infrastructure," he said. "We are anticipating it would be somewhere around $600,000 to $900,000 to become a Polestar brand dealer." The Polestar Spaces will be located in high-traffic urban locations including downtown centers and will only range from 2,000 to 2,500 square feet. "We want to make sure that our retail partners have high throughput," Hembrough said. "High throughput obviously means high profitability. There isn't a lot being asked of dealers regarding corporate identity, or build-out." Polestar is aiming to take the hassle out of shopping for a car. The Polestar Spaces will staff non-commission employees who are there to help explain the car without upselling. There won't even be any cars in the showrooms; instead, they'll be ordered online and delivered to the customer. We think having one car as a demo may be beneficial but Polestar seems to believe otherwise. Another benefit to these spaces is the lack of a finance or service department. Finance will instead be handled online and servicing will occur at Volvo dealerships. Eight Volvo dealerships in North American are currently in discussions to open a Polestar Space and the brand expects to have spaces in five West Coast cities and three Canadian cities by 2020.